I can still do this. 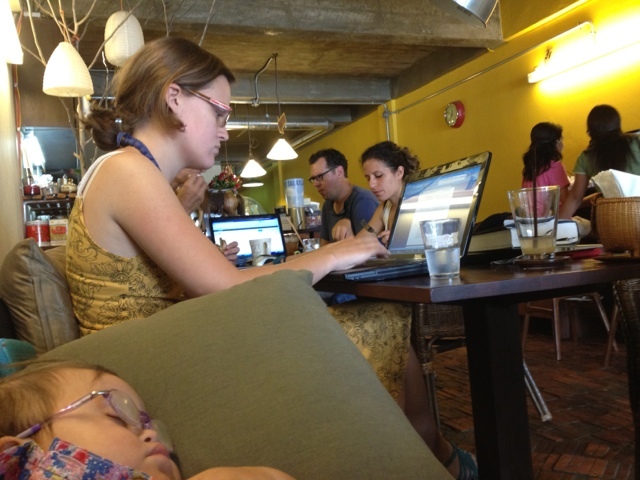 When Nava was little I loved to sit in a coffee shop, people watching while nursing and cuddling. Talking to people I know as they drifted in and out. I could do the same thing at home (more cheaply!) but at home I'm remembering all the things I should be doing instead. And I go stir crazy without people to watch and chat with. 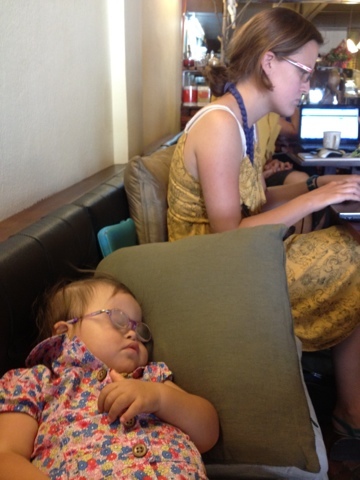 So I sat in public with Nava napping and nursing tons. But now she's a full blown toddler who wants to get down, run around, and tip out the sugar bowl. I no longer get to rest when we are in public. But today I just managed to pull it off one more time. Likely it's the one LAST time.